Providence is the capital and primary commercial, industrial, and residential area for this small New England state. Established as an enclave of religious tolerance and resident American rights in pre-Revolutionary times, it remains a center of liberal intellectual thought. It’s also an old manufacturing and typically New-England style old textile milling center, and the area and surrounding communities of New Bedford and Fall River have borne the brunt of considerable economic dislocation. The metro area covers the state of Rhode Island and spreads eastward into Bristol County, Massachusetts (where New Bedford and Fall River are located). Downtown Providence has undergone a renaissance, and is an inspiring example of urban redevelopment. Older historic buildings have been restored and attractive parks and a “River Walk” line the Providence River as it descends into the bay. A shopping complex, convention center and new residential developments have brought residents downtown. New office complexes host banking and financial institutions, and the historic Ivy League Brown University Campus lies just east of the downtown. 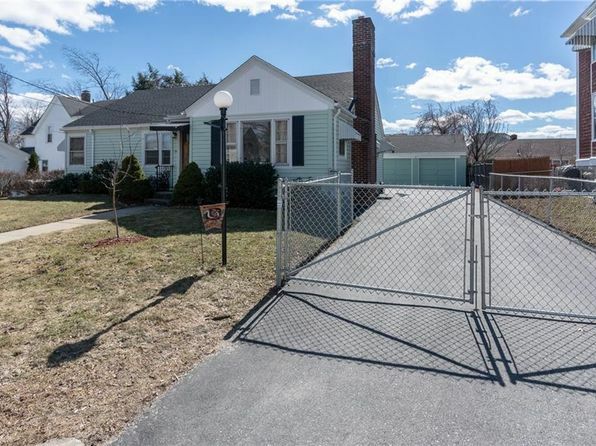 Suburban Providence is a mixed bag, with older industrial and working class suburbs lying in all directions, including Cranston, Warwick, Pawtucket and East Providence. Nicer suburbs lie further southwest and across the Massachusetts border towards Attleboro. Newport, 25 miles south at the head of the bay, is a world-famous historic and present-day playground for the wealthy with more connection to New York and Boston than Providence. New Bedford is an old whaling town trying to capitalize on tourism in its old historic district, recently made into a national park, but it has a long way to go. Providence has a laid-back character despite its capital-city status. Brown University adds to the intellectual and cultural landscape. Many are capitalizing on the area’s central location relative to other East Coast cities. While many living costs and especially housing are reasonable by East Coast standards, property taxes are quite high. The city has become an air gateway to New England, with a small, manageable airport and discount carrier service. The economy shows relatively low future employment prospects. Providence is located at a point where numerous streams flow into the Narragansett Bay. Typical of eastern lowlands, the terrain is flat to slightly rolling, with heavy deciduous tree cover away from the water. Proximity to the bay and Atlantic Ocean significantly influences the climate, in part by moderating winter temperatures and snowfall. Snow cover does not remain for long periods. In summer, refreshing sea breezes often cool the otherwise uncomfortable days. At other times of year, fog occurs frequently. Measurable precipitation occurs about 1 day in 3 and is evenly distributed throughout the year. Most summer rainfall comes as thunderstorms. Late summer and fall tropical storms can hit, and the area is prone to coastal “noreaster” storms year-round. First freeze is late October, last is mid-April. 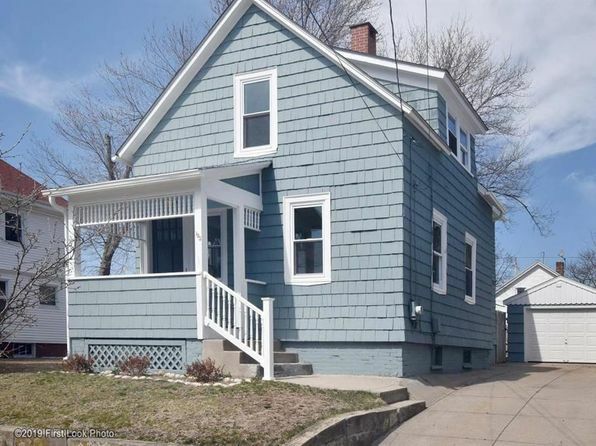 The median home price in Cranston is $247,400. Browse Homes in this Range. 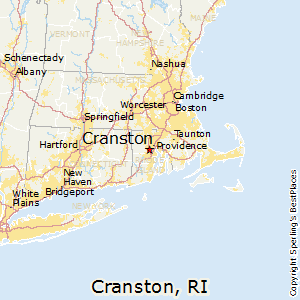 Compare Cranston, Rhode Island to any other place in the USA.